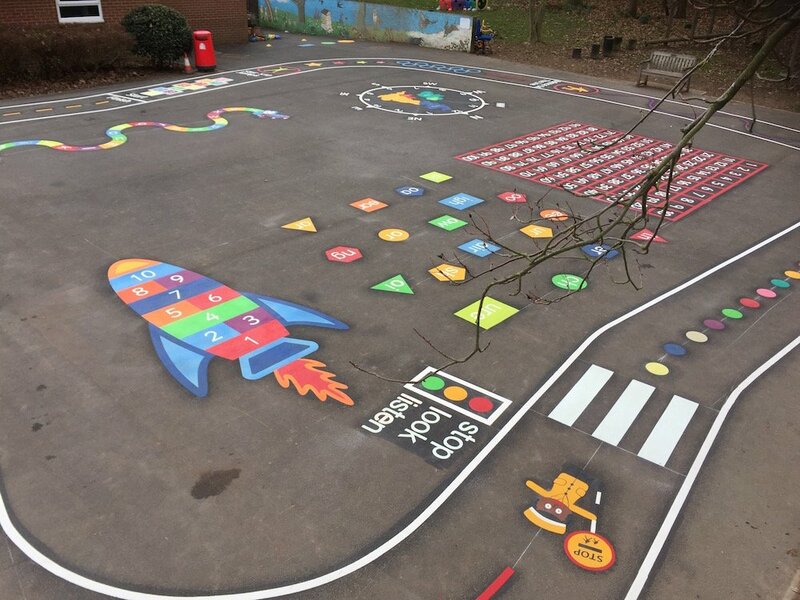 A Range of Playground Markings and a Ball Catcher have just been installed at Christ Church of England Primary School in Newcastle-Upon Tyne. 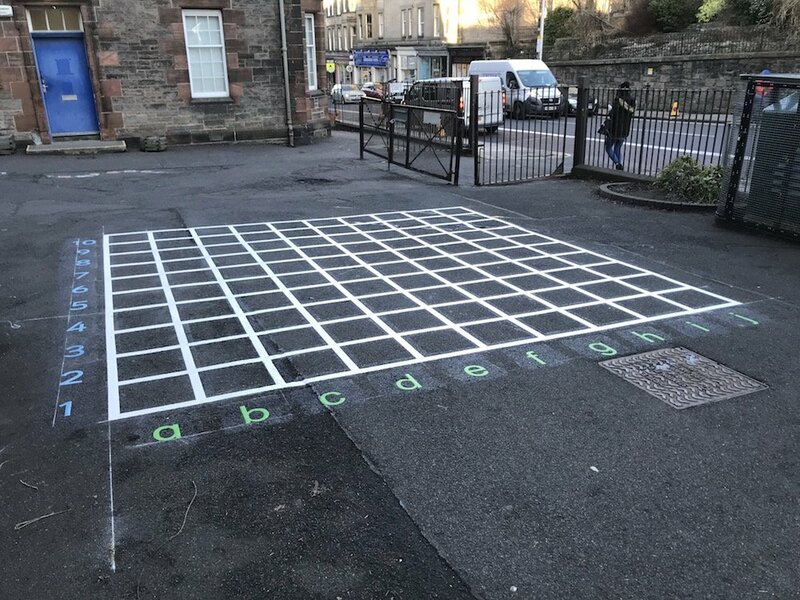 Last week first4playgrounds installation team took a trip down the road from our office in Gateshead to Newcastle-Upon Tyne to install a Ball Catcher and a range of Playground Markings. 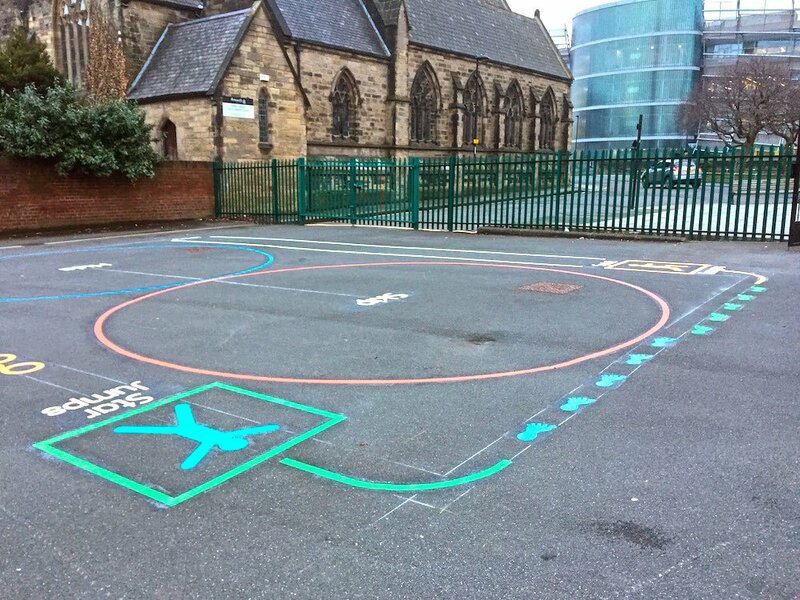 These markings included a Multi-Court and a Fitness Trail. 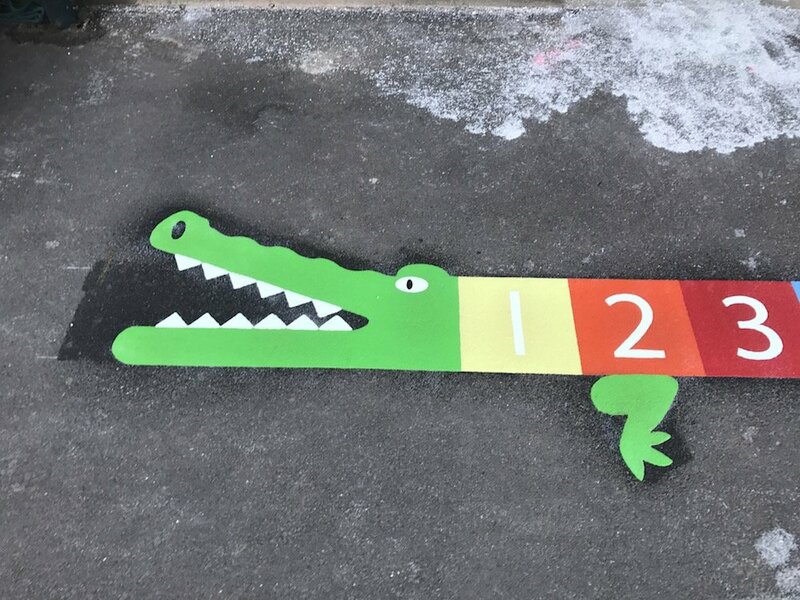 Even though the job was local the team made sure to arrive as early as possible incase rain or sundown affected the installation. Firstly the team took to installing the Ball Catcher. 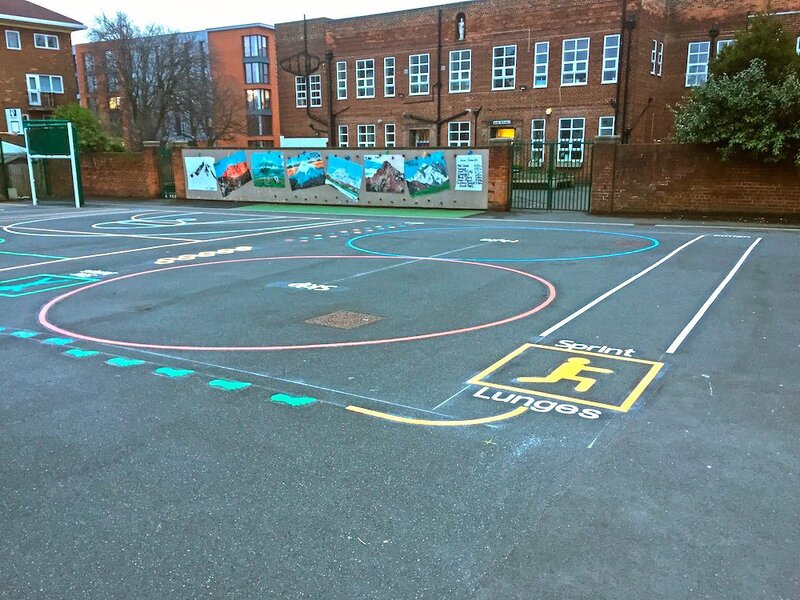 An 800mm Hole was dug in the tarmac that the ball catcher was placed then concreted into. 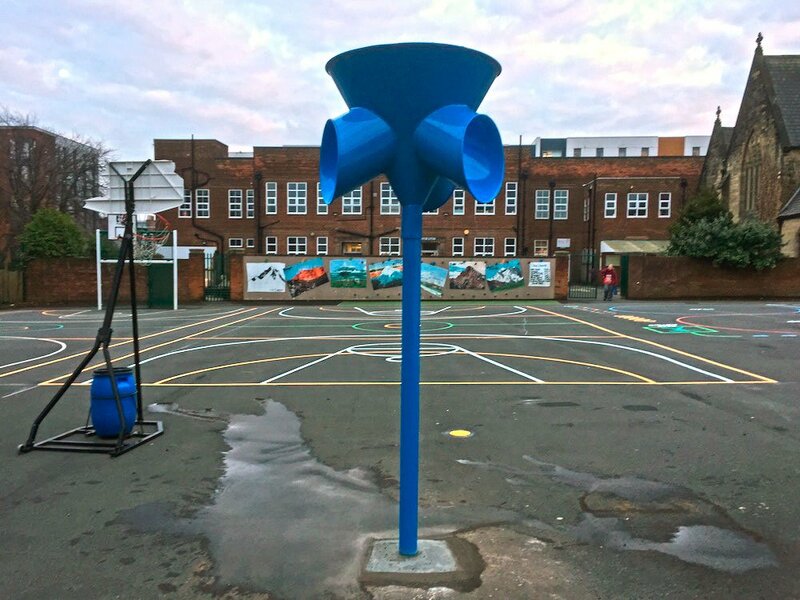 The Ball Catcher is a great, fun game that children of all abilities and ages can use. Develop throwing, catching, coordination and movement skills. 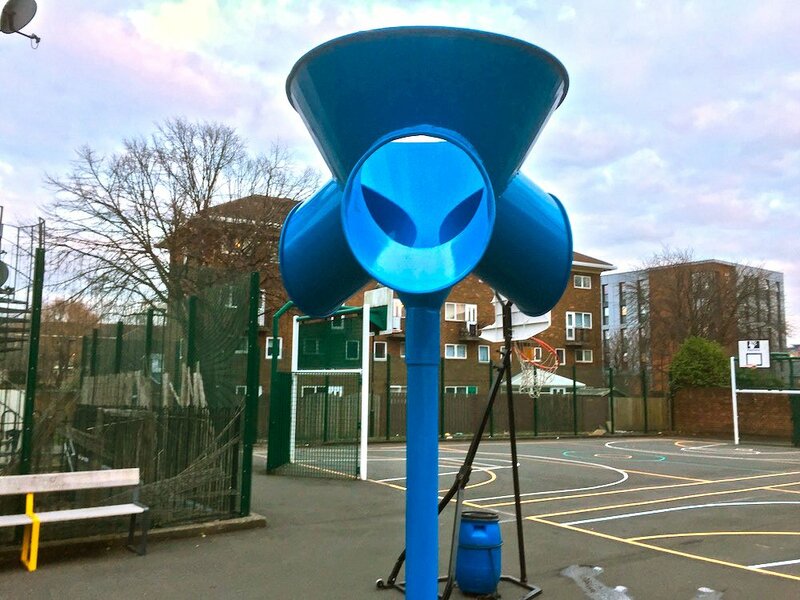 Children simply throw the ball into the large ring at the top and wait for it to randomly fall out of one of the holes! 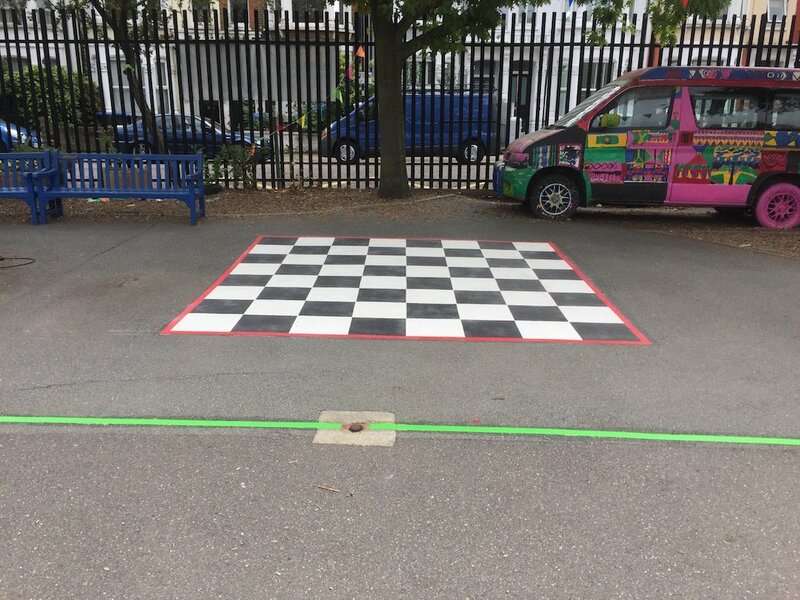 Next the team installed a Multi Court. 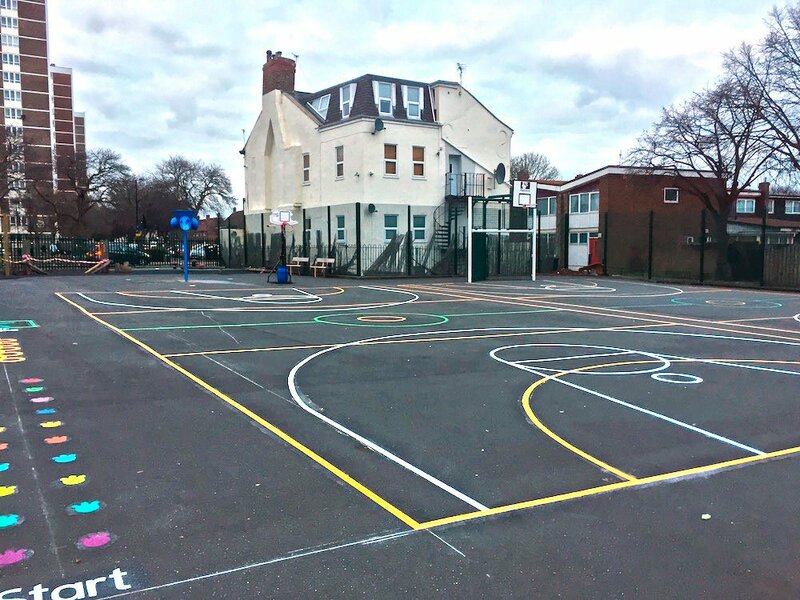 The Multi-Court is a great addition to any play area. As it allows for a Structured Match Environment to take place. 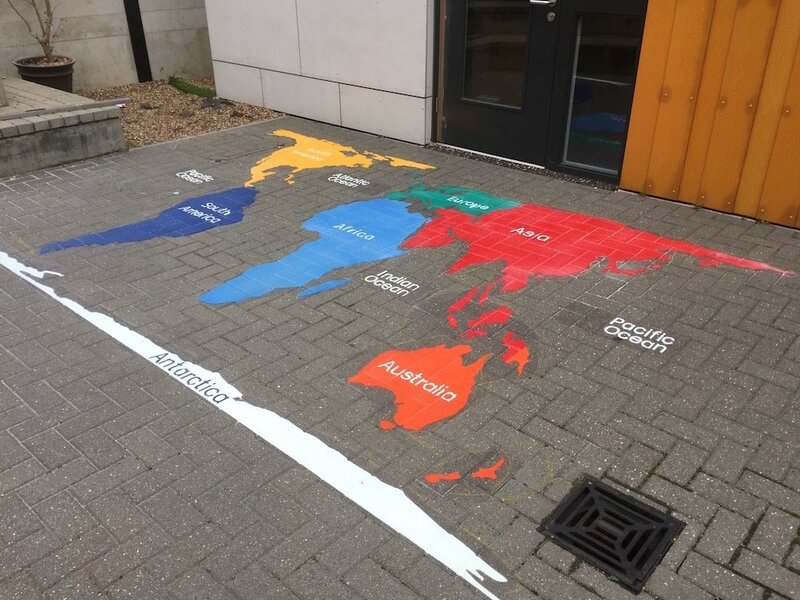 Finally the team installed this Fitness Trail. 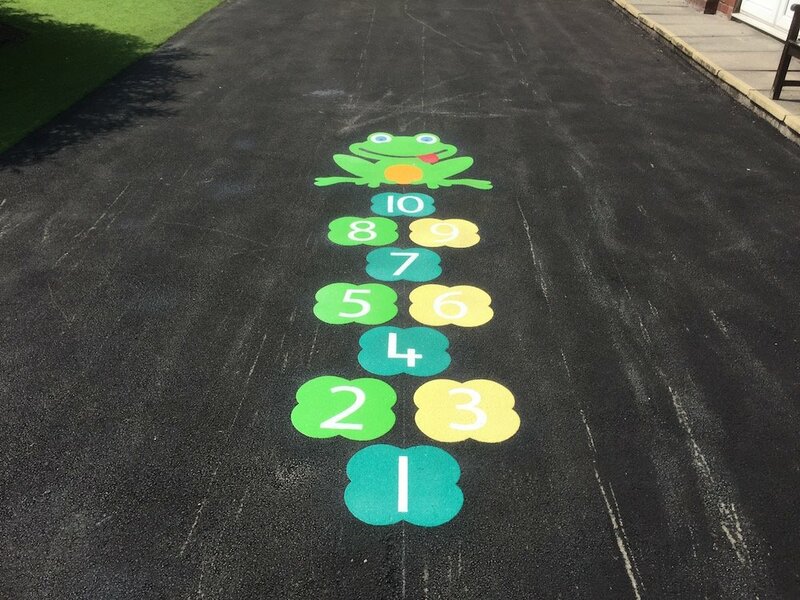 The Fitness Trail can be designed to fit any playground. 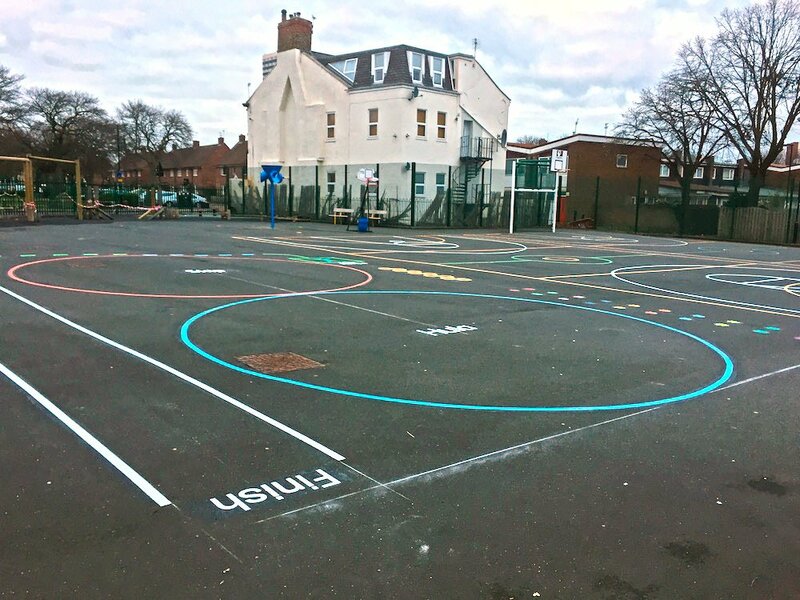 This Fitness Trail had two large three meter circles installed in its centre. 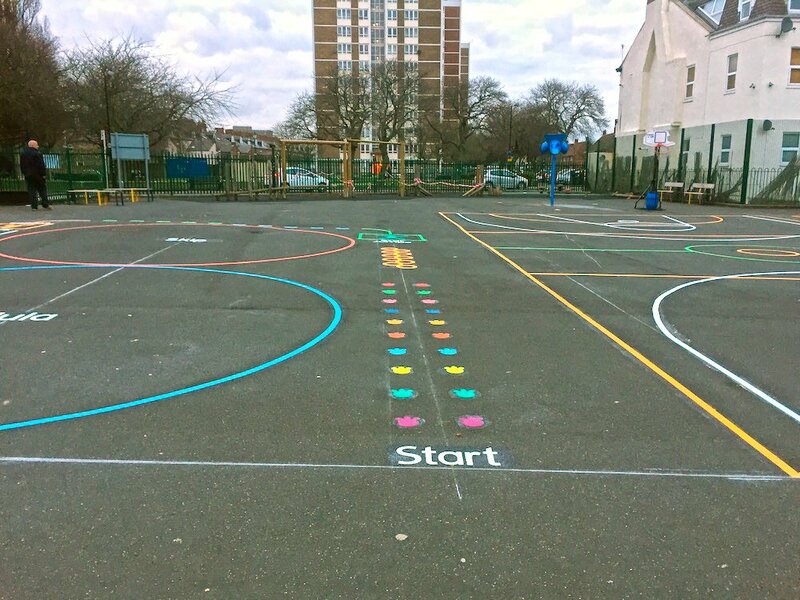 The fitness trail is ideal for Key Stage 2 children and older to be used in PE lessons. 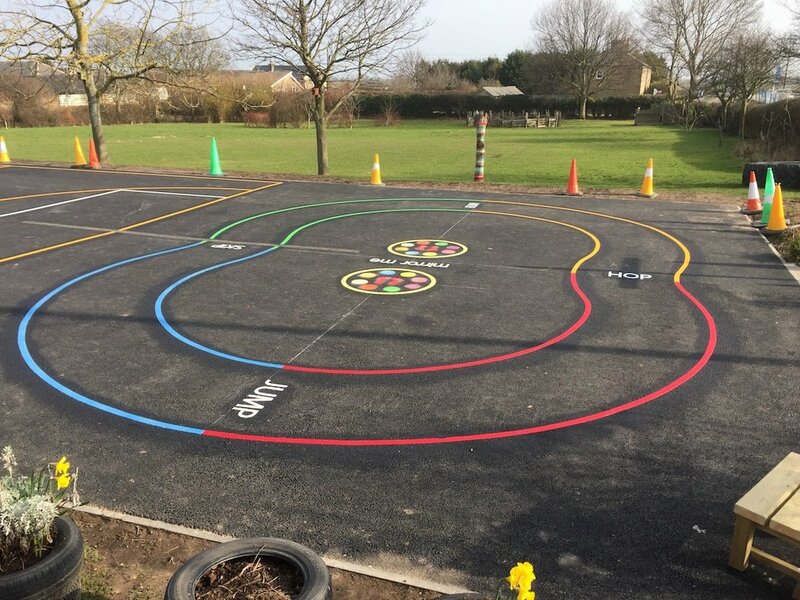 Schools can design there own fitness trail with their own stations. Please contact us for individual quotations. 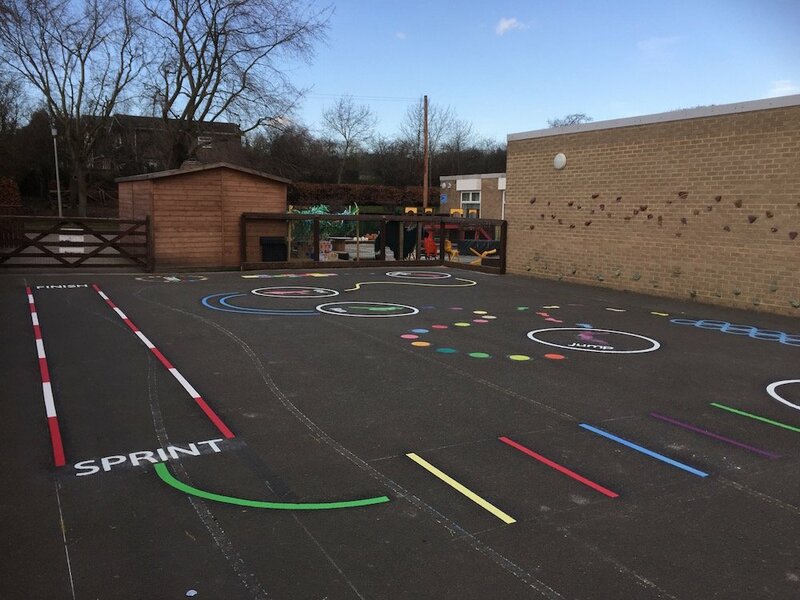 For more information regarding Ball Catchers, Fitness Trails and anything else about what we do please visit www.first4playgrounds.co.uk.